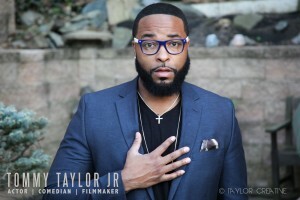 Funny, smart, and chronically womanless…Tommy Taylor Jr. is a uniquely talented comedian with an equally diverse artistic repertoire. 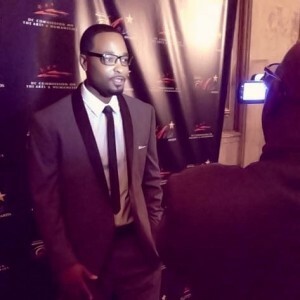 As an actor, comedian, filmmaker, and writer, Tommy is steadily paving his way towards success on stage, in front of the camera, and behind it. Tommy is a graduate of Carnegie Mellon University with multiple degrees in Computer Engineering, Public Policy, and Drama; he went on to receive an MBA from Howard University, during which he leveraged his diverse abilities. He gained small roles in movies such as “Die Hard 4”; became the face of the “Washington Post” ad-campaign; garnered roles in HBO series (“The Wire”, “How To Make It In America“, and “VEEP“), and even appeared on “Late Night with Conan O’Brien”. Being a clean comedian, Taylor does not curse or get raunchy with his material. However, he still captivates audiences from all walks of life. From the rawest urban comedy clubs, to the most politically savvy mainstream rooms, Tommy uses a combination intelligence and gut-busting comedy that leaves the crowd in stitches. Tommy’s acting experiences served as a catalyst for his own productions. Combining his love for technology and entertainment he formed Taylor Creative, LLC., a production company where he has produced critically acclaimed and award winning videos, commercials, films, and produced his original sketch comedy series “TheTommy Taylor Show” (TTS). The TTS brings Tommy’s brand of “GOOD. CLEAN. COMEDY.” to television and the Internet. Tommy’s success has also impacted organizations such as DCTV (The Public Access Corporation of DC). The TTS won the most recent “Hometown Media Award” for the “Best Entertainment Program” in the nation, giving DCTV it’s first ever award in this category; won a “Monty Award” for Best Entertainment Program on MCT-TV; and is also a two time winner of DCTV’s “Viewers Choice Award”! “The Tommy Taylor Show” has aried NATIONALLY on H20 Hip-Hop OnDemand (reaching 25 million homes), on ABC’s Local Point TV, DCTV, and The Real Hip-Hop Network ( reaching 2,000,000 homes in DC, MD, & VA via cable television, and averaged 100,000 views a month on the Internet). Tommy has also been feature in FORTUNE Small Business Magazine, Sept. 2007 Issue. In the past few years, Taylor was selected twice as “Outstanding Emerging Artist Finalist” for the Mayor’s Art Awards, which are “the most prestigious awards conferred to artist by the District of Columbia”; ‘Filmmaker of the Month’ honors from the DC Film Office; Awarded the first ever ‘Producer of the Year’ from DCTV; ‘Best Actor’ award from CTV, and even had his comedy featured internationally as the “Tommy Taylor Takeover” on CanadaWatch.TV! With a heart for others, Tommy recently participated in a mission trip to Belize, where he helped organize a community concert and led youth arts workshops. Taylor relishes the opportunity to aid others, & especially enjoys helping other young artist grow in their craft through his artistic endeavors. Taylor strives to keep God first and to be a positive role model in the lives of young people, personally and artistically. As such he works with the Best Friends Foundation to use entertainment to help “At Risk” youth make positive choices in life. Taylor has also provided internships and apprenticeships for local college students, which has already returned success.